One of our most flavorful teas. The dramatic combination of vanilla and grenadine ensures a particularly satisfying cup. 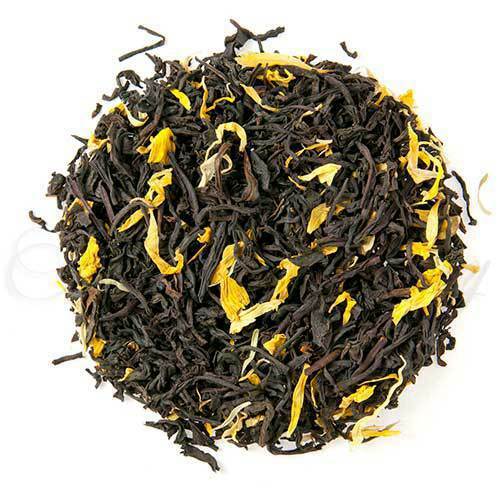 Contains black tea, calendula, and sunflower petals. A house favorite! Cup Characteristics: One of our most flavorful teas. The dramatic combination of vanilla and grenadine ensures a particularly satisfying cup. Fantastic. There is nothing I don’t like about this, great aroma, deep vanilla top, and a fruity almost sweet finish.